Takes you back to simpler times in an instant. 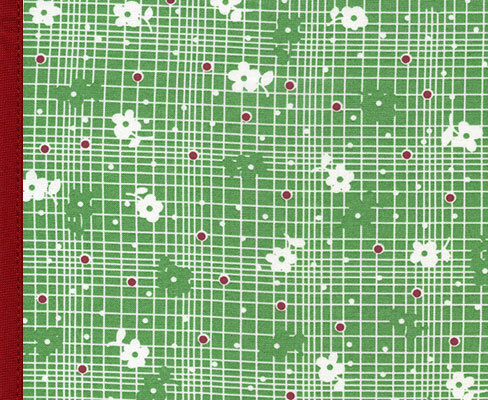 A sweet green plaid with simple flowers and red dots. Ruby trim.